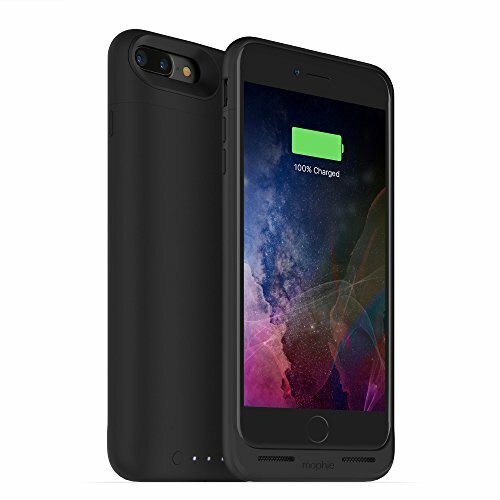 Say goodbye to the hassle of having to constantly deal with wires and lightning cables when charging with the new charge force wireless powered mophie juice pack for iPhone 7 Plus! This advanced battery pack case provides both extra power and reliable protection to your smartphone, but it also comes with a revolutionary new charge force technology that allows you to charge it wirelessly. Compatible with Qi and other wireless charging technologies, you can top off your phone and mophie case in cafes, cars, airports or anywhere that has a wireless charge system available. mophie’s unique Impact-Isolation System offers unmatched protection for your delicate iPhone 7 Plus with specially designed internal bumpers that have been tested to add extra cushioning to the corners and edges of the phone for reliable shock absorption. Free yourself from the old ways of charging and embrace the future with the mophie charge force powered juice pack for the iPhone 7 Plus! Juice up anywhere with a wireless charging base!